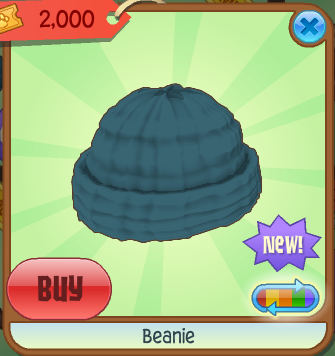 Animal Jam Legendary Palooza: Beanies! Today I thought there was 2 new items but I guess not. Unless there is? But I secretly don't know:O That could be a really great possibility! Today we have the returning beanie sold in summer carnival for 2000 tickets! I'm glad this is nonmember. Really glad to be exact. It is a bit pricey. I wonder why items in the summer carnival are so expensive? Like it takes a long long time to get the prizes but I guess some items at an arcade are the same price but they at least have in the hundreds as on aj they only have in the thousands I'm pretty sure. I thought they would also have another excavation den item except theres not so I guess the den set is already done wow. This is my fail ombre? Does anyone like it? 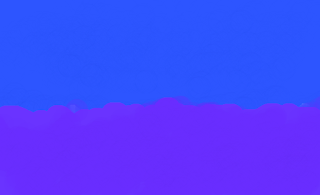 It might not be a noticeable texture but if you zoom in you might be able to see a cool texture on top. Hey its the blog's july colours I didn't even do that on purpose its coincidental. It took me forever to spell coincidental. Ok so last week 5sos started a countdown for something 6 days later the count down ended each day the count down had a different picture. After the count down ended we waited 30 mins for the surprise which was a 2 hour video of a guy spray painting the new thing. Then the thing was revealed as a new song thats suppose to come out tomorrow so we had to wait another 2 days! And I'm really excited cause one of the people in the band said it would be single single ALBUM! Cause they have a new album coming soon but they are on tour. But the countdown had a heart picture THAT HAD NOTHING TO DO WITH THE NEW SINGLE:O Omg so frustrating. Anyways why did I type this? CAUSE I CANT WAIT FOR TOMORROW THATS WHY!